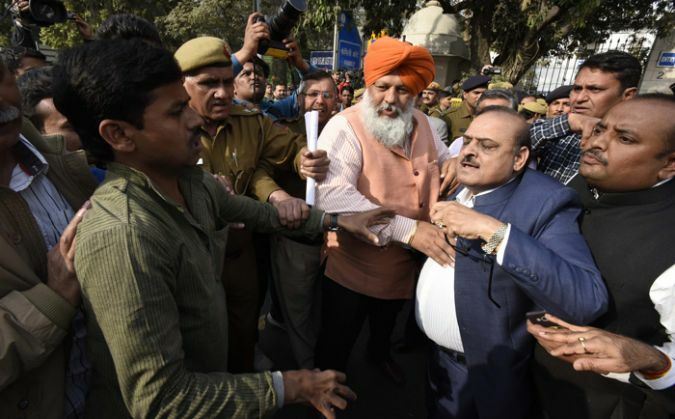 Delhi BJP MLA OP Sharma, who was arrested by the Delhi Police on Thursday for being involved in a scuffle outside Patiala House Court, has been released. Sharma, one of the three BJP legislators in the Delhi Assembly, said that he is a victim of media trial. After being summoned by the police on Wednesday, the first-time MLA turned up at the Tilak Marg station. The police had summoned Sharma and three lawyers in connection to the attack on JNU students and teachers, and journalists at the Court complex. Sharma was caught on camera brutally beating up an activist outside the court on Monday.